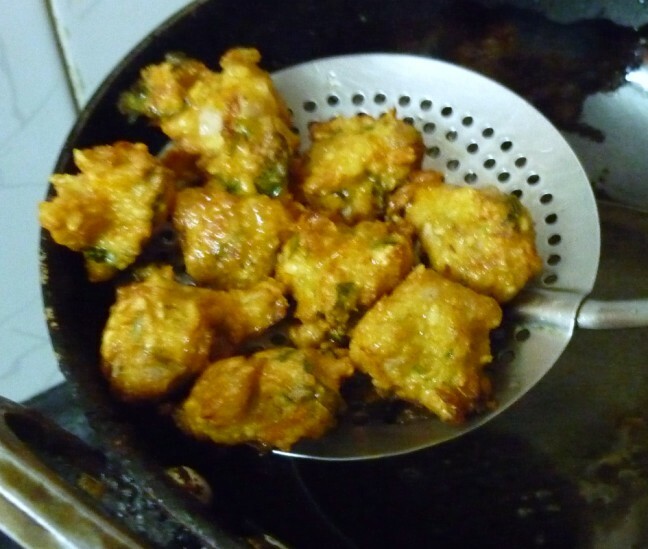 Meddu Vada or Masala Vada is mostly made during all festivals. For a change we think of making different varieties. 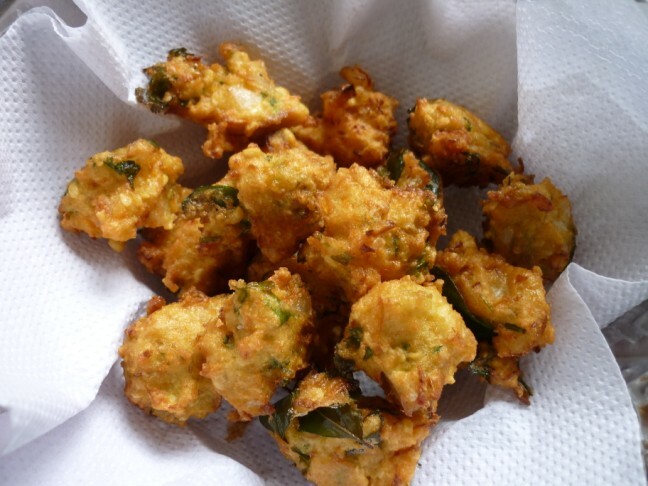 I had plans to make Maddur Vada, but Athamma had soaked Urad Dal so decided to make something with that itself. Amma had the same problem too. Dad was very much against the same Meddu Vada being made. 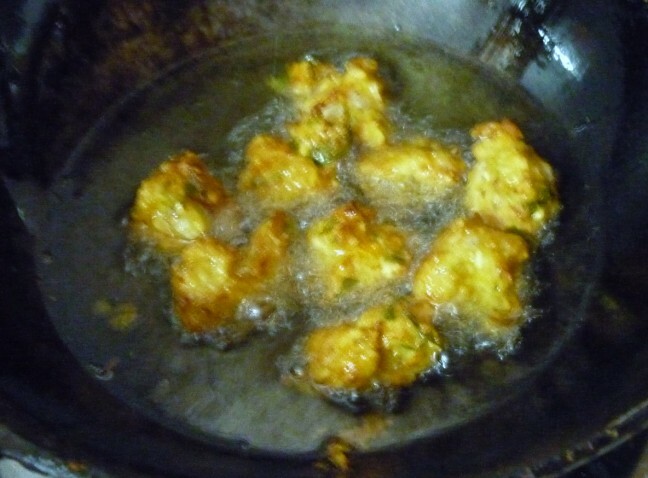 So she opted for this tasty fritters, though it’s deep fried I guess you can indulge one in a while. Today being Sunday kids have been enjoying their holiday, it’s been a lazy day all together. Not much of cooking done, as we went for fresh salad and simple rasam. After the heavy festival eating, I felt this simple meal was refreshing. Soak the moong dal for 2 hrs. Drain and grind it coarsely. 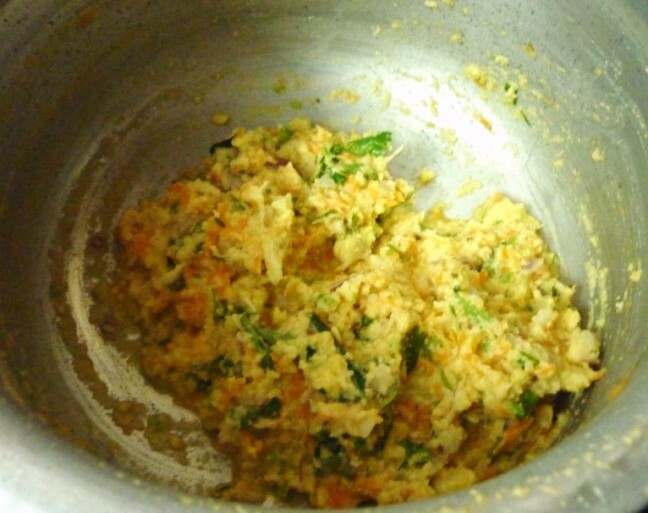 Mix in grated carrot, finely chopped onions, finely chopped coriander leaves and curry leaves, salt and the ground paste. Heat a pan with enough oil to deep fry. Drop in balls, or flatten as a discs. Cook on all sides, drain on a kitchen towel. Soak the Urad dal for 2 hrs, drain on a colander. In a mixer, take the green chilies, urad dal and grind to a smooth mix. Add salt. Heat a pan with oil, scoop in balls and gently drop into hot oil. Cook on all sides by turning it around. 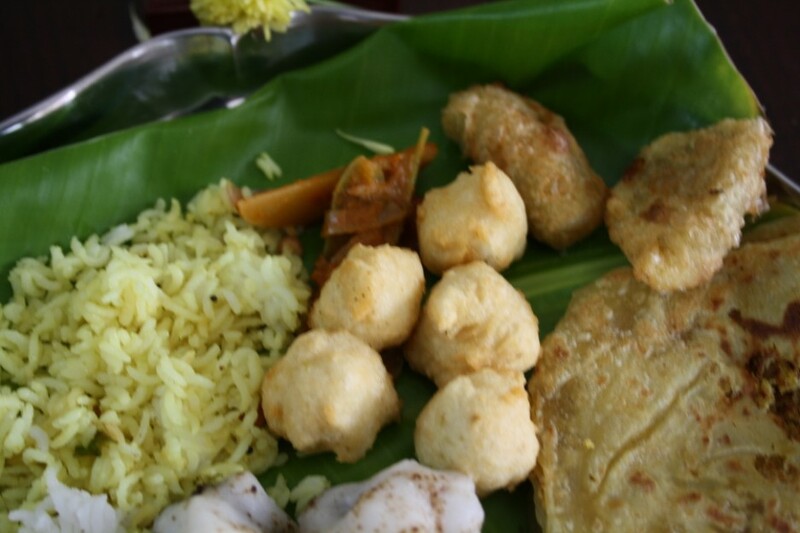 Notes: Finely chopped onions, coriander leaves and curry leaves can also be added. 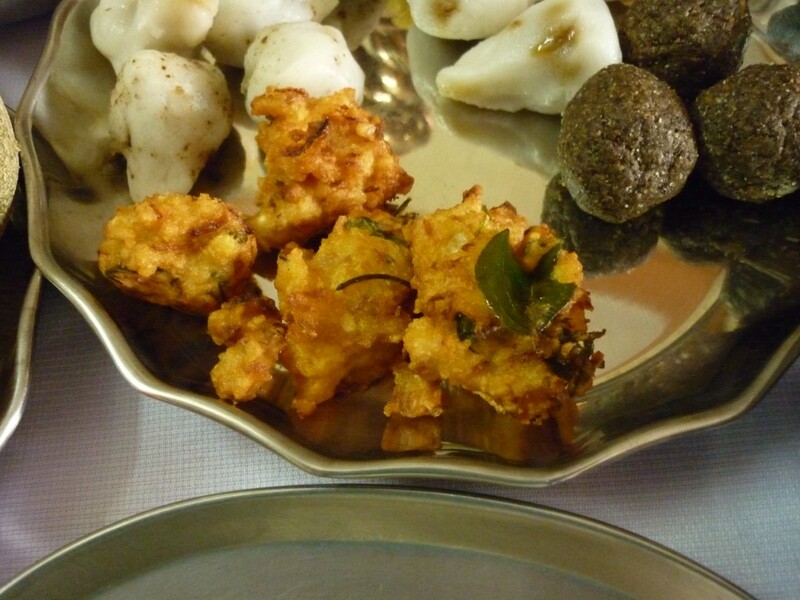 Tempting vada and bonda. Love such easy and simple recipes. Oooh! yummy! Looks like you hade a great feast. Lovely looking platter for the Ganesh Chaturthi. Perfect offerings. this is a nice new vada..